SFCG is an established Sales and Marketing Automation agency (Austin, TX, USA) with deep focus in enriching customer experience through its tested CRM best practices and CRM implementations over the past 15 years. SFCG helps its clients to maximize efficiency and ultimately a better ROI through its strategic guidance and technical skills. Jamie confirms that; once on the growth path Organizations have to eventually deal with multiple management aspects of clients, projects (internal and external) and resources to maintain the momentum. This is when the search for a project management tool began. And the usual run; multiple demos were scheduled from a variety of vendors & free trials conducted before signing up with Orangescrum. SFCG, one of only a handful of companies recognized by Oracle as Go-To partners caters to world renowned brands like Visa, Thomson Reuters Elite, Electronic Arts & Aston Marketing Group to name a few. With Orangescrum on board, their project management and collaboration was simplified, client communications and engagement rose further with multiple successful project deliveries for many of their fortune 500 clients. 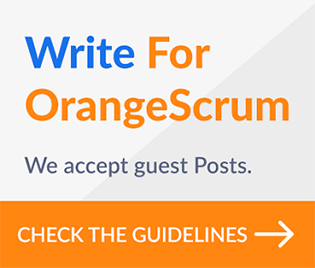 How easy was Orangescrum adoption? Do you ever worry about missing deadlines, over loaded resources and project progress tracking?